There are a lot of ways to look at a football game. These are the numbers you won’t find in the ordinary box score. Each week following the game we’ll share some key stats to track the Huskers’ progress this season in “Beyond the Box Score.” All of the numbers below include only non-garbage time plays, which wasn't an issue in this game. For a more complete explanation of the numbers, click here. It took the Huskers a while to find their efficiency in this one, which wasn't a total surprise given Northwestern's defensive strength. It wasn't a surprise either though that Nebraska turned it on in the second half. After posting a slightly below-average success rate of 40.5 percent in the first half, Nebraska responded with an outstanding 61.8 percent success rate in the second, consistently staying ahead of the chains. The Huskers' defense has had better days in terms of putting teams in tougher spots, but it made up for that in other ways. Big win for Nebraska. Northwestern entered this game as one of six teams yet to give up a 20-plus yard gain on the ground. Terrell Newby ended that streak on the third play of the game and Nebraska never really slowed down from there. 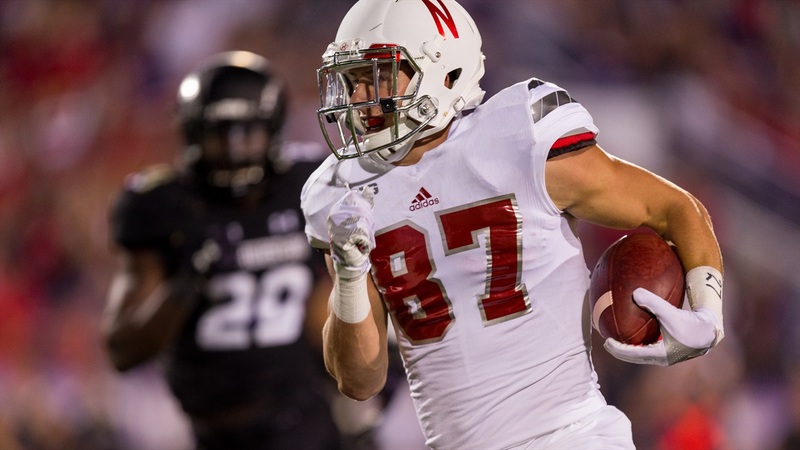 The Huskers hit on seven explosive plays for 259 yards to Northwestern's four for 114. Five different Huskers had a gain of at least 20 yards. This was the story of the game early. Nebraska fumbled twice at the Northwestern 1-yard line. The Wildcats didn't turn either opportunity into points, but on the doorstep of the end zone a team is expected to get 6. Nebraska came away with zero, but did even things out later with a pair of second-half interceptions, both of which came on scoring-opportunity drives for Northwestern. Through three games this season Northwestern had been very good at keeping teams out of the end zone. That Huskers struggled here early, but Nebraska made enough trips and got enough points by the end to end up with a perfectly average 4 points per trip. That's pretty good against this Northwestern defense. Nebraska's defense, however, turned the tables a little bit. The Wildcats missed a field goal on their second drive -- Nebraska's opponents are now 2-of-6 on field goals this season -- and the Huskers' two interceptions in the second half meant Northwestern had just 6 points on five trips (1.2 per trip). It was an 11-point margin, so these particular numbers were really the game. Slight edge here for Northwestern, but nothing out of the ordinary. The Big Ten tends to be like that a lot of the time. A pretty average night for Nebraska on the scoreboard for a team that put up 556 total yards. Two fumbles inside the 5 will do that. For the season, all four of the Huskers' turnovers have happened inside the opponents' 15-yard line. Clean those up and the points-per-drive numbers start to look more like those of a team averaging nearly 500 yards per game. A few more numbers of note for you. In our preview this week I identified some other key stats I thought would play a part in this game: passing downs success, tackling in space and explosive running plays. Passing Downs: This was strength-on-strength coming in. Nebraska's offense was one of the nation's best at picking up yards when behind the chains and Northwestern's defense was one of the best at preventing them. The Wildcats were winning the battle early. The Huskers had an 18.2 percent success rate on passing downs in the first half, but climbed all the way to 55.5 percent in the second. That put Nebraska over, barely, the number I thought they'd need to hit of 34 percent. Solo tackles: We don't typically think of Northwestern when we think of dangerous spread offenses, but the Wildcats have done a good job of forcing teams to make tackles in space this season. This was not one of the Huskers' better tackling games, but this one reached a sort of middle ground with 66.7 percent of Nebraska's tackles being solo tackles. That's up from the Huskers' average coming in (51.6) and down for Northwestern's offense (71.4). Call it a wash, mostly, but Nebraska could've been better here. Explosive running plays: As mentioned above, Northwestern had been very good at limiting big rushing plays. That's the reason I thought if the Huskers hit for two of them they'd be in good shape. Nebraska ended up going for four of them, three of which covered at least 30 yards. This offense is looking more dangerous by the game.